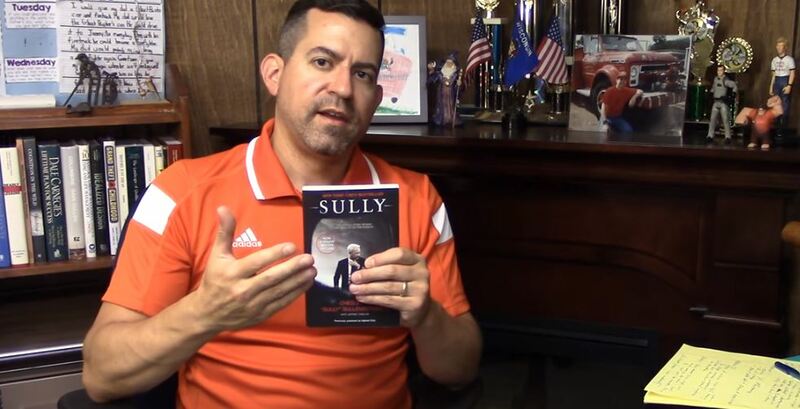 David Perrodin, PhD, encourages school leaders to read the book Sully. People don’t plan to fail, but fail to plan. Yes, maybe, but that’s not a steadfast omni-situational saying. It’s actually a ridiculous statement. Today some leaders are terrified to make decisions that they judge to be accurate per “gut feeling ” and “wrong” per contingency practice — actions are frozen by thoughts of anticipated personal or career fallout. Examples of career decisions include Admiral James Loy’s radio call for anyone with a boat and a will to head to Lower Manhattan to assist in the rescue of 500,000 people following the September 11, 2011 attacks; numerous Navy Captain’s decisions to push cargo and helicopters / planes over decks to make room for persons fleeing Vietnam during Operation Frequent Wind (1975) and the 1940 evacuation of Dunkirk which placed civilian “rescuers” in harm’s way. That’s a truncated list, but you get the idea. Life-saving decisions are not always per a flip chart or decision-making tree. In fact, I would argue that things seldom play out the way in which they were planned (during crisis events) – especially for large events that flood tidy reservoirs of anticipated variables. We are foolish to believe we have crafted the inclusive contingency playbook. Has school safety improved? Yes? No? If so, since when? How do you know – what tool of measurement documents the change from baseline? Yeah, baseline – and can one have inter-rater reliability with baseline when school buildings are unique in design, operation, staff and students? I’ll step back. We haven’t had a repeat of the 1958 Our Lady of the Angels Fire (Chicago). School fire-related deaths have practically been eradicated. Thank God. However, I am not convinced that schools are more APPROPRIATELY prepared for school shooters today than 15 years ago. Some tactics have changed. Columbine taught us to no longer wait for SWAT to arrive before entering the school in search of the shooter(s). Columbine tried to tell us a thing or two about staging responding vehicles, but that was still a problem with the 2012 Sandy Hook Massacre and in the age of kids texting parents, “Something bad is happening at my school – HELP!”, it is virtually impossible to prevent hundreds of parents from swarming a school. It’s better to anticipate that reaction than to try to plan to thwart it – you won’t be able to stop it. The now popular multi-agency school intruder simulations, complete with all the blood and gore or a low-budget film, are a shamed path – but more on that in another post. I leave you with this quote taken from the book Sully (which I reference below). When the best interest of the children is on the teeter-totter, you move the fulcrum to the place in which the children are elevated from danger. Where? Tacit knowledge. Gut feeling. Sensemaking. You will know. The question is not whether you will be called on the carpet for moving the fulcrum. If those that judge you do not vindicate you then your heart, your conscious and the spirit of humankind will thank you for your courage. [Captain Sullenberger]: Through all my years as a commercial pilot, I had never forgotten the aircrew ejection study I had learned about in my military days. Why did pilots wait too long before ejecting from planes that were about to crash? Why did they spend extra seconds trying to fix the unfixable? The answer is that many doomed pilots feared retribution if they lost multimillion-dollar jets. And so they remained determined to try to save the airplane, often with disastrous results (page 229).